Recently, I wrote a column about the preface to Jesus’ parable of the Pharisee and the tax collector and what that introductory comment tells us about the connection between trusting in yourself and looking down on others. 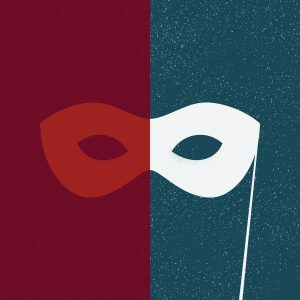 When we look at the parable itself, particularly the description of the Pharisee, we should take note of just how easy it is to be self-deceived about our own self-righteousness. Today, we’re used to reading the worst possible motives into the character of the Pharisee. But Jesus’ original listeners would not have assumed that the Pharisee was the bad guy, not at first. They would have seen this Pharisee as a model citizen—a decent, upstanding religious man who was pious in his practice. First, the Pharisee went to the temple to pray. He must be seeking the Lord, and he seems to be a prayerful man, right? Not only that, the Pharisee thanked God for the good things he had done. That’s good, too. The Pharisee didn’t take credit for his own good deeds. He said: God, I thank you! So what’s the problem here? The self-righteousness that seeps out from this man’s actions and words is evident in the other aspects of his prayer. He was standing in the temple, probably in front of others, to be seen by them. He expresses gratitude to God but not because God is so awesome and holy, but because he sees himself as set apart from others. (The Pharisee mentions sinners that are “greedy, unrighteous, adulterers,” and then he mentions the tax collector in the same temple complex with him: “or even like this tax collector.”) The Pharisee may not be self-aware, but he sure is aware of the people around him. He isn’t truly looking up to God in prayer because he is looking down on the people next to him. Were he truly aware of the awesome majesty of God, he would see himself on the same level as the tax collector – a lowly sinner in need of mercy. The Pharisee mentions his fasting practices and his tithing. Note the repetition of “I” throughout the prayer. The Pharisee may be praying to God but he is praying about Himself. If someone had accused the Pharisee of being self-righteous in that moment, how do you think he would have responded? He would have denied the charge. He would not have recognized that attitude in himself. See how easy it is to be deceived? All of this should lead us to wonder: what are some ways we can be self-righteous without knowing it? After all, self-righteousness wears many disguises. The scary thing about self-righteousness is that we usually don’t recognize it in ourselves. We think because of our religious practices that we are okay with God. We think because of how we pray that we are trusting in Him, not in ourselves. We think because of how we live that we are doing better than the people around us. Self-righteousness stinks; unfortunately, we are the last to smell it on ourselves. John Maxwell tells a funny story about a grandpa visiting his grandchildren. In the afternoon, Grandpa would take a nap. One day, the grandkids decided to play a joke. They put Limburger cheese in his mustache. When he woke up, he started sniffing, and he said, “This room stinks!” Then he went into the kitchen. “It stinks in here, too.” Then he went outside for a breath of fresh air, and after a minute he said, “The whole world stinks!” That’s what the self-righteous person is like. They can sniff out the sins and shortcomings of everyone around them, and they think everyone stinks except them, but sometimes, the stink is on you. This story Jesus tells about the Pharisee shows us just how easy it is to fall into the trap of self-justification. We parade all of our good works before God and before others, thinking that these works will increase our stature. And when we’re called on it, instead of recognizing our self-righteous spirit, we recoil from the accusation and justify ourselves. I’m thankful to God for my good heart! I’m obviously religious! Can’t you see that I’m doing better than other people around me? Do you want to say that my religious observance doesn’t matter? But even when our self-righteousness is cloaked in words of gratitude or manifested in actions that, on the surface, appear to be done out of a desire for God’s glory, self-righteousness is still self-justification. It is misplaced trust that leads to misplaced judgment. President George W. Bush once said, “We judge others by their actions and ourselves by our intentions.” We judge people around us more harshly than we would dare judge ourselves. Copyright © 2019 Kingdom People, All rights reserved.